Chloe Whorrie is our reigning Miss Birmingham GB 2017. Chloe won her title in July 2017 at the age of 22 years old, having never competed in a pageant before. She has also represented Birmingham at the Miss Great Britain Finals held at Athena in Leicester on the 15th September, which she found to be an amazing experience! Coming up to the finals of Miss Great Britain, Chloe hosted her own Charity Event for L.A.M.P (who specialise in providing mental health advocacy) and Global Make Some Noise (who help small but brilliant charities across the UK, which help youngsters and their families living with illness, disability, or lack of opportunity). She has had amazing appearances including Jamaica Independence in Victoria Square, representing her Jamaican Indian heritage and MBCC Awards to name a few. Chloe aims to use her title to raise awareness about Domestic Violence and the effects on children. She aims to visit schools across Birmingham to talk to children about the importance of speaking to someone about it, as she was in the same situation as a child and aims to inspire children/victims to do the same. As a healthy eater and a gym fanatic, she hopes to influence others to become healthy physically and mentally. Previous to winning her title, she graduated with a Fashion and Accessories degree at Birmingham City University in 2016. She has also been modelling since 2011, taking part in various fashion shows and photo shoots. Chloe is extremely excited to be judging this years Elementz Of Couture Model Competition, as she has had the experience herself as a model and a fashion designer. Chloe believes that we are currently in a society where we are pressurized by society and social media to look the same or have a certain look, model competitions and pageants are a an excellent way to celebrate differences, because your differences and imperfections are what makes you beautiful! Chloe will be a Show Judge at the Elementz of Couture Fashion Event on Sunday 26th November 2017. You can buy tickets via the link below or contact us for more details. 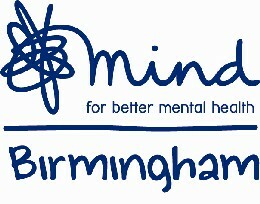 Elementz of Couture are raising awareness and funds for Birmingham Mind, a mental health charity.You can also support & donate directly via the link below.